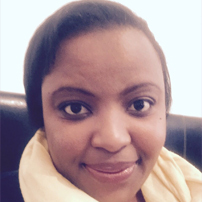 Emilia Madondo is a Regulatory Affairs Officer, who has worked within the food industry for 12 years. Emilia labours to change futures of youngsters coming from abusive backgrounds; supporting the work done by Musketeers (a branch of Ruth for Women created by Emilia and her siblings). Her personal mission is to hold governments across the world accountable for all the children regardless of the situation the country faces. Stemming from her love of books, her vision is to eradicate illiteracy by setting up a reading programme across Africa and to encourage innovation amongst today’s youth. She stands with fortitude and passion to change the lives of others. Emilia is a doting mother to two beautiful children, a dedicated wife to her loving and supportive husband Solomon Madondo. She’s a singer with the worship team at her church and a children’s ministry educator. In her spare time, Emilia designs clothes and creates natural products holding two brands.